Download The New E-Book To Learn The Latest Trends In IT Security, And How You Can Be Prepared. How confident are you about facing a cyber-attack through email? Have you been hit in the past and feel ready to take on whatever comes? Or are you completely inexperienced and don’t feel prepared? 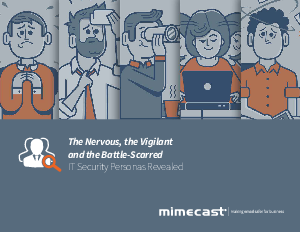 Two-thirds of respondents in a recent Mimecast survey don’t feel up-do-date or equipped to handle such threats.